Surprise Your Loved One With a 3D Printed Present for Valentine’s Day! Whether your a hapless romantic or enjoy showering your partner with regular gifts, have a look at these heart-melting products. Our favourites include a classic red rose in a vase and an interlocking heart, but thecuddling salt and pepper pots pictured really caught our eye. 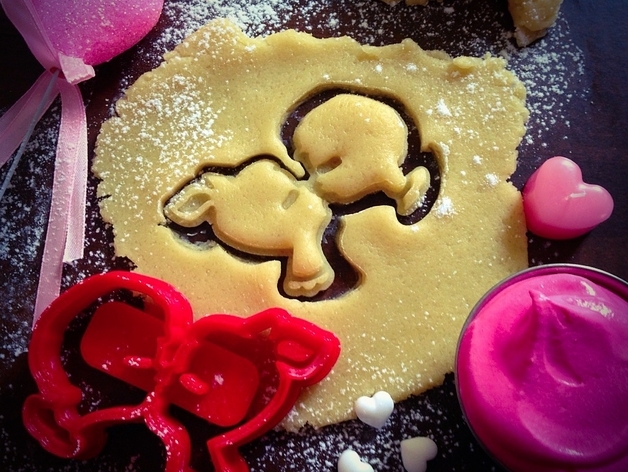 Two great examples of this are the ‘Heart Wings’ set and this delightful ‘Kids kissing’ cookie cutters. As usualThingiverse, has a wide selection of similar products available.